When did fun transform into work? Once, video games were always, without question, a fun diversion. Sure, I'd run into frustration sometimes with an aggravating boss or a task with unclear objectives (still talking about video games here, not work), but there was always this unspoken guarantee that every video game I played was unequivocably fun and worth the effort to play. In retrospect, I may have been spoiled by some truly outstanding games during my childhood. 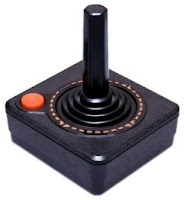 My first exposure to video games was on an Atari 2600 with some classic games such as Frogger and Combat, and things only got better from there. I grew up with some of the best RPGs ever made--Chrono Trigger, Super Mario RPG, and EarthBound. I honed my platforming skills on Super Mario Bros. 3, Super Metroid, Donkey Kong Country, and the best of the classic Mega Man games. For over a decade, there were no bad games in my library, except for E.T. the Extra-Terrestrial, which I assure you was not my decision to buy. That's not to say that I never played a bad game. I tried out plenty of video games at other peoples' houses, and I borrowed or rented a few from time to time. However, at the time, it was very easy to identify a game I didn't like. If I wasn't having fun in the first five or ten minutes, I gave it up. If I got halfway through the game and found that it became far too difficult or ceased to offer anything new, I would simply stop playing without a second thought. If a game wasn't fun, I'd switch to another game. Plain and simple. Not so plain and simple now, though. Perhaps there's a glossy sheen of nostalgia that coats all my childhood memories, but I'm fairly certain that, until around the the turn of the century, video games (and movies, for that matter) were either good or bad. Either you liked them or you didn't; the most complicated things ever got was when you kinda liked them or kinda disliked them. Name any video game or movie made before, say, 1998, and I can give you a one-sentence summary of my feelings toward it. Invasion of the Body Snatchers? Interesting, but it lost my attention because it went on longer than necessary and didn't have enough music. Bionic Commando? Extremely fun... if you can get over the extreme difficulty. See? Easy. Modern movies and video games, however, aren't as easily classified. 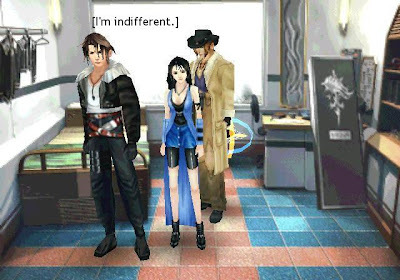 To summarize my feelings toward Final Fantasy VIII, for example, I'd need at least a paragraph to cover the most fundamental details. Even then, I couldn't flat-out say that I liked or disliked the game. Heck, I couldn't even declare indifference, because some parts I really enjoyed, and other parts were really atrocious, and those two don't cancel each other out to equal indifference. Same deal with Indiana Jones and the Kingdom of the Crystal Skull; I have strong feelings both positive and negative toward the film, but I can't condense them into a single sentence and still feel satisfied that the full essence of my opinion has been expressed. "I enjoyed parts of the film, but too many scenes were too preposterous to believe, even for an Indiana Jones movie, and the ending didn't feel quite right, and the whole deal with the aliens that weren't really aliens was never developed well enough and raised more questions than it answered, and I feel like Last Crusade was the perfect place to end the series, and this one just..."
Do you see what I mean? To say that I enjoyed the film but thought a few scenes were far too absurd sums up a lot of my feelings, but simply leaving it there makes it sound like I just winced a few times but otherwise had no other problems with the movie, which is clearly not the case. With both movies and video games, I have witnessed a trend that has complicated my ability to decide whether or not I like what I watch or play. No matter how wonderful a modern game or movie may be, it's almost a guarantee that I will have far too many caveats to say that I loved or hated it, period. That's why fun has become work. I can't just give up on "bad" movies because there's always something worthwhile amidst all the badness, so I force myself to watch the whole thing. I can't give glowing recommendations for "good" games because the designers made some majorly boneheaded decisions here and there, so I struggle through the lousy parts so I can experience the great parts. I blame this phenomenon on an increased emphasis on the visuals, which sometimes draws the focus and the budget away from other important areas, and on efforts to create something fresh, which often involves taking a risk on unproven game mechanics or blurring the lines between genres or breaking tradition in unwelcome ways. 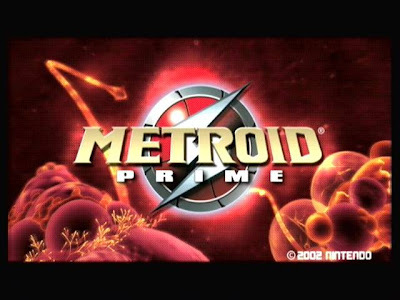 I really liked Metroid Prime, released in 2000 for the GameCube; I feel that it was a fantastic transition from 2-D to 3-D, even if it wasn't nearly as dark and creepy as the Metroid games before it. I liked Metroid Prime 2: Echoes even more, but the level design was often too dark to see and occasionally a little too complicated, too much time was spent recovering your health after wandering through the caustic atmosphere of Dark Aether, and a few sections were way too hard and ruined the fun. The game came out in 2004 for the GameCube. Metroid Prime 3: Corruption was released in 2007 for the Wii; I didn't like the new controls as much as the old ones, many challenges were much too simple, there was a lot of missed potential in terms of referencing other Metroid games and using all the special abilities to their fullest extent, it was surprisingly unclear how to go about fighting several of the bosses, the ending was weak and cheesy, and a lot of the music felt out of place, but a lot of the music was fantastic, there were some extremely cool and fun and memorable moments, I loved that you were able to use your ship for more than saving, and the game managed to recapture that atmospheric and creepy Metroid feel that many of the more recent games lacked. Is there more I can say about the first two games? Of course. Did those things affect my enjoyment of the games as much as the music or the cheesy ending of the third game? No. And I can't begin to tell you whether I liked or disliked Metroid Prime 3. What I can tell you is that, even if I loved it, too much of it felt like work. Are modern games and movies worthwhile? I'd say so. I just wish it didn't require so much effort to have fun nowadays. And that's how comics replaced video games as my preferred method of relaxation.